﻿ Provence Bike Trip| Self Guided| What's Included| France. WHAT'S INCLUDED IN OUR B&B BASED PROVENCE BIKE TOURS. Our single base, Provence bike tours have been designed to be comprehensive. 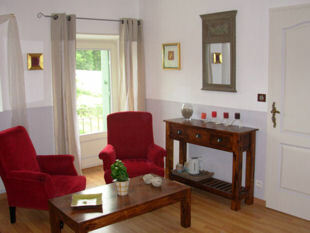 Our bike holidays are hosted at our 17th century Luberon B&B, where we provide all breakfasts and 2 dinners. We supply quality Trek hybrid bikes and all the essential bike equipment you'll need. Use our Ride Directory, along with some help from us, to choose from our 30+ bike rides. All of these self guided routes are loaded and ready for use on your Garmin GPS units. Then, whilst out on your bike, use the ride and tourist information that we supply along your route, that should help you to get the most from your day. You can also enjoy the peace of mind knowing that back up transport is just a call away should you need us. 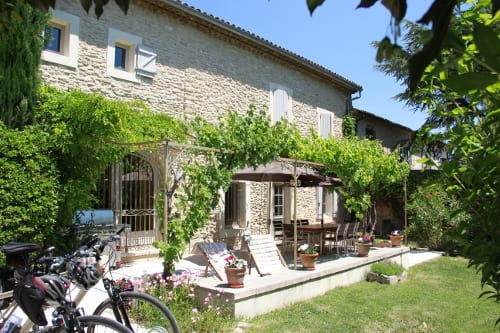 We host our TripAdvisor top rated bike trips, in our 17th Century, Provencal farmhouse with its comfortable, well equipped rooms, large gardens & pool, vines & terrace. All Breakfasts (copious French Buffets) & 2 three course home-cooked Dinners (including complimentary wine & drinks). Use of one of our quality, brand new Trek FX 3 Hybrid bikes (we'll of course fit you for it), or you can rent a Road bike or an Ebike (€168 fee for the 6 nights, including insurance - Please enquire at the time of booking). 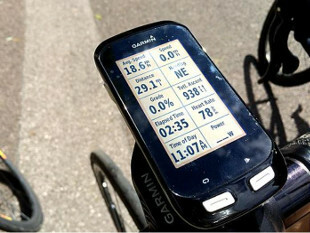 Our "easy to use" Garmin Edge 1000 systems make finding your way around simple and stress-free! 1 per biker. Helmet, pannier bags, repair kit, pump, bottle, lock etc. Ride Difficulty - All rides are categorised by distance and climbing difficulty into either: a Easy, Moderate, Hard or Extra Hard category. Each ride has a map with the route highlighted and the nearby villages. Along with an altitude profile of the ride and the number of metres to climb. These 30+, tried and tested, rides are all preloaded onto your GPS. Each ride in the directory has its own info card that you can take with you on your bike. These cards show the map, stats & a summary of the tourist information in order to help you get the most from your day on the bike. In the unlikely event of a mechanical problem we'll come out to solve the problem, or bring you home. We'll supply you with a copy of our own "Real Provence" guide - the best things to do & see in the Luberon & Provence. Plus a list of our favourite, tried & tested, restaurants & cafes. And of course we'll try and help with any questions & requests that you may have. "We were a party of 8 cyclists and Garmin novices. Neil educated us on his Garmin's so that we were able to navigate thru his great routes." US - July 18 - Cycling holidays review. "You get a well maintained bike, GPS loaded with routes for the day, and a card full of tips to the best restaurants in town. Off the bike, Neil and Nat provide beautiful farmhouse accommodation, delicious breakfast (and a couple of dinners) and help with any dinner reservations in the local villages." Claire - Australia - Sept 18 - Cycling holidays review. "Working out of a home, single base everyday on our self-guided and self-paced tours was the way to go. We could bike as little or as much as we wanted, leaving enough time for sightseeing, shopping and of course eating!!! The time Neil put into researching and developing the courses one has to choose from for each days ride, made everyone of them a winner." Rick - US - Sept 17 - Cycling holidays review. "I could hardly wait to get out to the veranda every morning to enjoy breakfast and to discuss the day's ride with Neil. Two evenings, Nat and Neil served beautiful home-cooked dinners that featured local produce and the classic tastes of Provence. They are fabulous cooks and serve with just the right amount of panache. They served "bike-riders' portions", which was much appreciated. The other evenings, Nat and Neil were kind enough to book a table for us. They know what is around and make great recommendations." Bonnie & Eric - US - Sept 17 - Cycling holidays review. 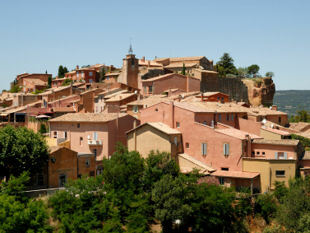 "We felt totally comfortable the moment we arrived at Nat and Neil's Luberon Bed and Breakfast. The rooms were great, the beds very comfortable and the shared bathroom with our children worked out very well." 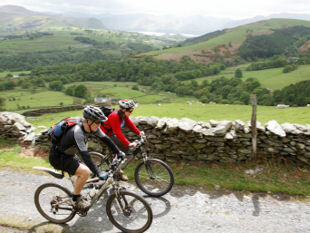 Alan - US - May 16 - Cycling holidays review. "As first time leisure cyclists we knew nothing about organising a cycling vacation. We didn't need to worry as Neil took care of everything. Sorted out bikes for us; supplied lists of clothing to bring (definitely need cycling shorts!) and where to buy things if you didn't bring them (definitely need cycling shorts! ); helped us hire a car (to get the shorts)." 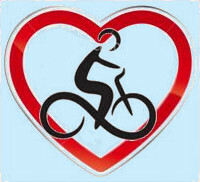 Deb - US - June 13 - Cycling holidays review. "It's also very comforting to know that a friend with a car is just a phone call away should you need help. It's an ideal way of bicycle touring because you can ride at your own pace and schedule, or just take a day off to be a regular tourist. " Courtney - US - Sept 12 - Cycling holidays review. "Neil was very accommodating. Even met up with us to loan me some money when I forgot my wallet on our first biking outing." Dana & Flynn - US - June 2010 - Cycling holidays review. Click HERE to read more about how our Tours work.